Garden bed construction is complete. A final load of manure was used to fill in the angled end pieces of the garden beds. However this manure was fresh…actually straight from the horse stalls into my truck! So I decided to up the nitrogen ante and see if it breaks down any faster. 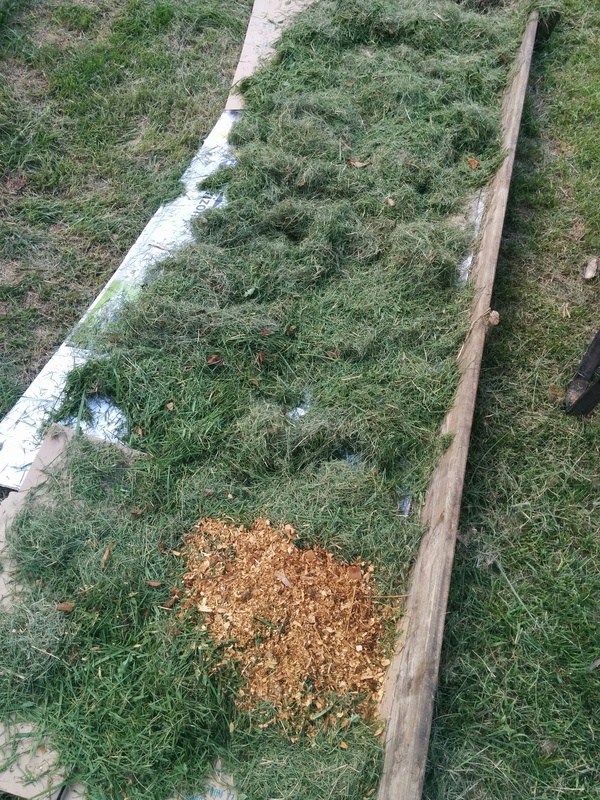 A nice layer of fresh grass clippings atop cardboard but buried under the manure/bedding mix then thickly topped with old hay for mulch. Realistically, by next spring these beds just need to break down enough to sustain buckwheat which thrives in decaying organic matter. I’m hoping to have 2 full crops plus one more for the frost to kill and return to the soil! Are you growing the buckwheat as green manure?